Being a photographer, its difficult to switch off even when your on holiday. 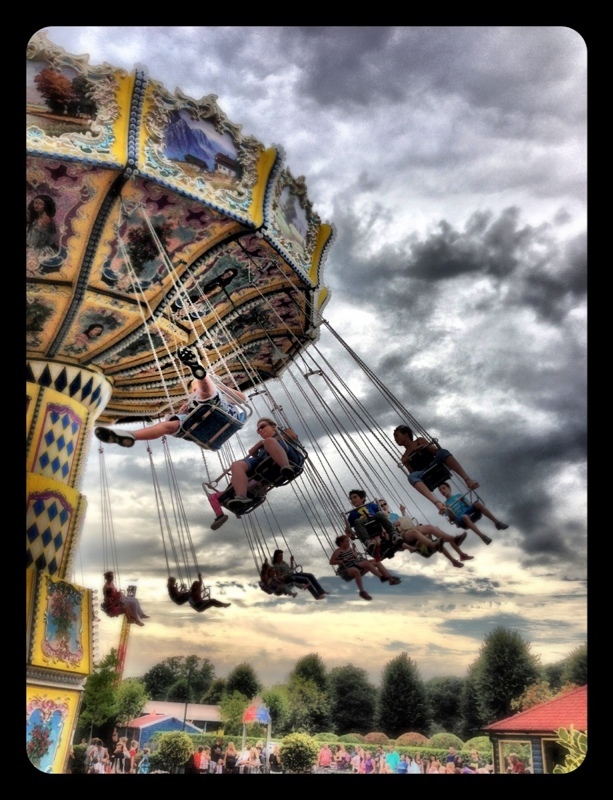 At fun fairs there’s lots of opportunities to get good action photos. I don’t advise taking your expensive DSLR, instead try using your camera phone. Concentrate on composition, movement and trying to capture the excitement unfolding around you. The image above was captured using the iPhone 5 and has been processed through the Dynamic Light app. Personally, I’m attracted to the vintage rides; Big wheels, Swings, Helter Skelters etc, but the more modern attractions have some fabulous lights to work with. The most important thing is to have fun and play safe. If you’ve enjoyed this post feel free to share it.